The lock and key are daily customary instruments in lives of New Yorkers. We trust that the lock on our door will keep ourselves, our loved ones, and our belongings safe and secure inside our charming abodes. We also trust that a safe will protect our valuables from unwanted hands and eyes. We trust that our offices will not be infiltrated over the weekend. We place a lot of stock and good faith in these rather exquisite apparatuses, probably without any knowledge of how they function or the history behind how they were made and came into such common usage amongst today’s societies. Furthermore, we don’t really stop to consider the nature of the locksmith or the process he must go through for proper lock and safe installation and lock and safe repair. Locks have undergone an evolution over time, as is the trend of all design in life. The common belief is that the first locking mechanism was made in ancient Egypt roughly 4000 years ago. It was a straightforward pin tumbler type lock made of wood. The wooden bolt secured the door while the pins fit onto pegs in top of the wood block, hence the first locking mechanism. Since 1000 B.C locks have become exponentially more complex. The idea of the lock then spread across the ocean to Greece who developed the idea for a door lock by about 700 B.C which consisted of a latchstring on the outside of the door and a bolt on the inside so that the homeowner could lock the door from the outside. The key, which was a bow shaped piece of metal that could fit into the slit in the door and unlatch the bolt to get back inside. Later the Romans adopted and expanded upon the latchstring lock and created the warded lock into which indentations were carved in specific patterns to fit a specific key; they also created the padlock. Locks, even today, are constantly being adapted and improved upon, the lock from Rome then made its way throughout Europe and beyond. China invented the combination lock around the same time period which involved a puzzle of sorts, only the correct combination of symbols on the lock would release the bolt and open the lock. Locking mechanisms continued to progress from Barron’s double-action lever tumbler lock in 1778, to Jeremiah Chubb’s unpickable detector lock in 1818, to Linus Yale Senior’s “Quadruplex” bank lock in 1844 and his son Linus Yale Junior’s major advancement with the development of the modern cylinder pin tumbler lock in 1861 (said to be one of the greatest advancements in the history of lock design), to Medeco Security Center’s high security technologies and locking mechanisms in 2012. In the 18th century locks were still made by hand as opposed to mass produced with machinery, meaning that there was still a very prominent design element involved with locksmithing. Locks became an important aesthetic for its doors design. The “look” of the lock almost became more important than its functionality, especially throughout the Middle Ages when locks were being designed in a particularly ornate fashion. But nonetheless lock making and locksmithing continued to progress. The 19th century was the period of the “Great Lock Controversy,” which described a time when a locks’ bind was the most important element, rather than its visual appeal. 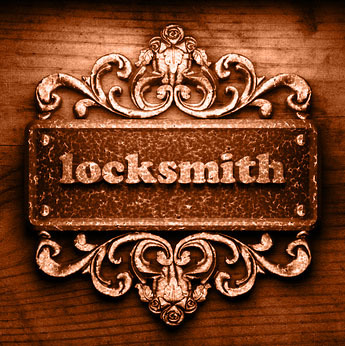 Locksmiths grew into the habit of trying to pick their competitors locks and manufacture unpickable locks. Joseph Bramah who wrote “A Dissertation on the Construction of Locks” created a lock that could not be picked in 1784 and called it The Challenge Lock. He offered a reward to anyone who could pick his lock. Bramah’s lock remained true to its title until 67 years later it was picked open by an American locksmith named Alfred C. Hobbs in 1851 at The Great Exhibition in London. Today, we are in the heart of the digital age even with regards to such aged devices as locks. As stated, locks evolve with societies. Today, keys aren’t even necessities anymore; there are codes, cards, intercoms, time locks, electronic locks, and alarms, just to name a few innovative alternatives. There are even electronic cardkey and codes to access elevators and for access to certain floors in a building. As you can see, there is much more to locks and the history locksmithing than the customary day-to-day lock up of our homes, businesses, or safes. 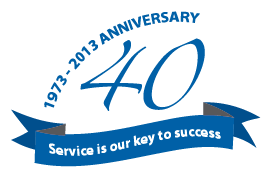 SOS Security and Locksmith has been offering locksmith services from the same location in Chelsea, New York City since 1973. SOS Locksmith NYC is the #1 provider of SSS Siedle intercoms, the market leader in building communications and security in the digital age. SOS Locksmith NYC is the only authorized Medeco Security Center in New York City. SOS Locksmith offers a Locksmith Dictionary which comes in handy when learning about locks and the locksmith process. So give SOS Security and Locksmith and one of the knowledgeable technicians will be happy to discuss with you anything you’d like to know about locks or locksmith’s in New York City. And if you’re still interested, here is an interesting locksmith’s timeline featuring many points that helped to shape our security systems today! If you’re ever in Connecticut and want to check out some more locks, stop by the Lock Museum of America, or if you want to admire from afar by clicking here. Locksmiths tend to be multifaceted. Locksmiths have always been versatile and able to work within the many fields of metalwork with a variety of materials like tin plate, sheet iron, brass, steel, pewter, copper, lead, and wood, just to name a few. It was necessary for locksmith’s to have machine-like ingenuity and accuracy when working because even a slight mistake could make for a disastrous outcome. The anvil was not just featured in Looney Tunes cartoons, but a common tool, along with the forge that locksmiths had to understand and master. Locksmith’s were also responsible for jobs like lathe turning, spring tempering, rivet and screw making, precise fitting and hole punching. 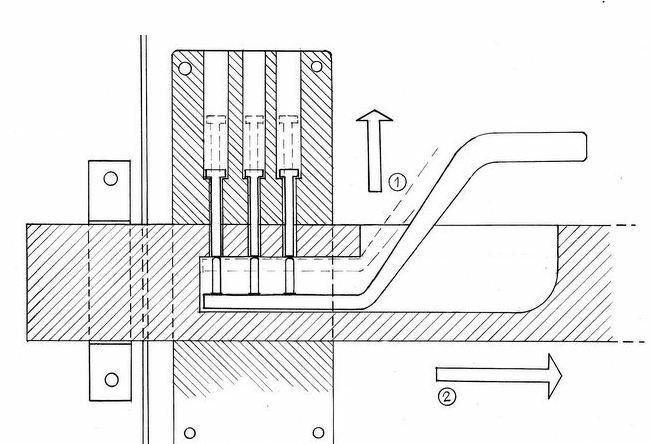 Locksmith’s even handled jobs like pipe making because of their acute ability to make molds. During wars locksmiths repaired weaponry as well. Today the locksmith profession is a common degree course in trade schools and is also factor of engineering degrees. Locksmiths tend to be certified in particular sub-fields or skill areas within the trade, for example, some locksmith’s are trained in risk assessment for prime security measures, and others are trained in electronic locks and electronic access control systems. The majority of locksmiths must also be trained to work on any existing door hardware, not just locking mechanisms, meaning they are responsible for hardware like frames, hinges, door replacements, and even doorknobs. Certain advances in technology have also stretched the locksmith industry even further into arenas like electronic systems, alarm systems, software systems, intercom systems, and cctv systems. With the perpetual progression of technology there will always be a need for the expanse of the locksmith industry. 1861 The rim lock was used at Fort Sumter at Charleston Harbor, South Carolina. 1865 The Yale Mortise Cylinder Lock patented to Linus Yale, Jr.
1916 Samuel Segal patented the first jimmy-proof lock.